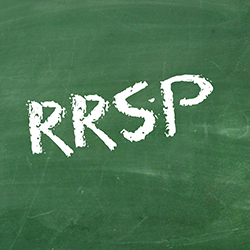 RRSP season is here – don’t miss out! The Registered Retirement Savings Plan (“RRSP”) is an invaluable long-term financial planning tool – you save for retirement and your contributions are tax deductible. To top it off, your money grows tax-free until you withdraw it, presumably when you are no longer working and in a lower tax bracket. 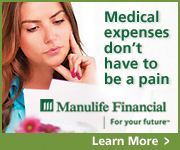 Invest any tax refund you receive back into your RRSP, and you will benefit even more over the long term. The RRSP contribution deadline is Friday, March 1, and the maximum contribution for the 2018 tax year is $26,230. Despite these attractive incentives, fewer Canadians are putting money into an RRSP than they did 15 years ago. In 2016, just 22.5% of Canadian tax filers made an RRSP contribution, down from 30% in 2000.1 That’s a missed opportunity for the vast majority of eligible savers. 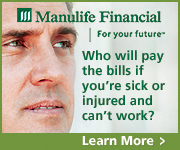 So what is stopping people from prioritizing their RRSPs? For one, the risk of losing money as a result of short-term stock market volatility can keep investors on the sidelines as they wait for the “right” entry point. However, the right time to invest can feel like the wrong time, because periods of maximum fear in the market have historically provided the best potential for long-term performance. An example of the need to think long term is the U.S. stock market. Although this market, as measured by the S&P 500 Index, has returned an average of approximately 10% annually since 19282, there were many periods of short-term market volatility over that time. Only investors with the required degree of patience and perspective tended to realize the strongest gains that market has had to offer. People who took a short-term approach and sold during market downturns likely saw far smaller gains. And if history is any guide, the path to the stock market’s next period of strong annualized gains is likely to include some negative – and highly volatile – years. Once you accept volatility as a normal part of investing and let go of events over which you have no control (like the short-term direction of the market), you can devote your time and energy to what you can control, like planning for the lifestyle you aspire to. Having long-term goals and a proper plan for reaching those goals can help ensure you have sufficient savings and income to fund the future you deserve. Staying focused on your long-term objectives can also prevent you from making rash decisions that are counterproductive to your lasting success. It’s surprisingly easy to veer off track or abandon your long-term financial goals. While it is often preferable to ignore your RRSP and, instead, choose to spend money on more immediate wants and needs, taking a long-term view and embracing (or at least accepting) short-term volatility as a means to an end will ultimately leave you with more money for your golden years. Without a doubt, avoiding the temptation to spend and being regimented about setting money aside for a distant dream can be challenging. But you don’t have to do it alone. 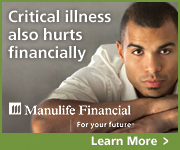 As your financial advisor, I can help. Call my office today and let’s talk about achieving your goals and the steps you can take to secure a comfortable retirement.